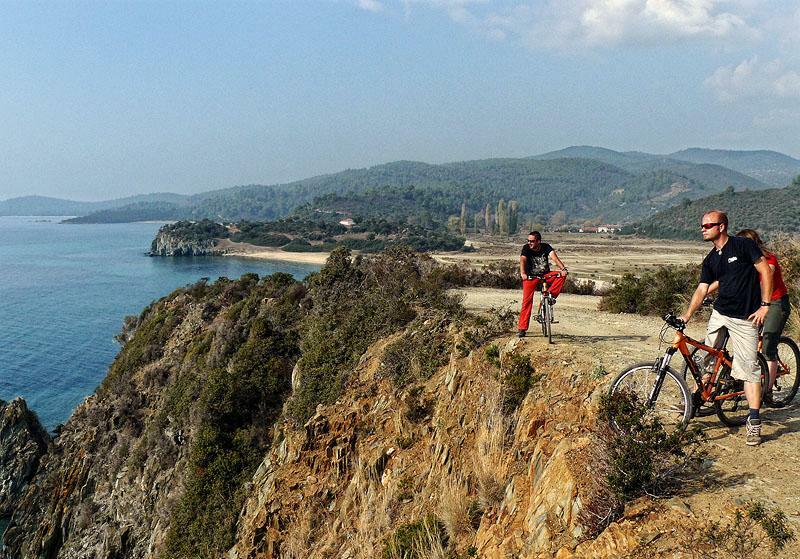 This bike trip will take you on an enchanting journey along the legendary and mythic Halkidiki peninsula. You will have the chance to explore the nature, culture and history of the three peninsulas of Halkidiki– Kassandra, Sithonia and Athos. The Ancients knew the region as Flegra - the Place of Fire - because it was believed to be the place where an epic battle ground for the fire took place between the Olympian Gods and the Giants, the sons of Gaia (Earth). 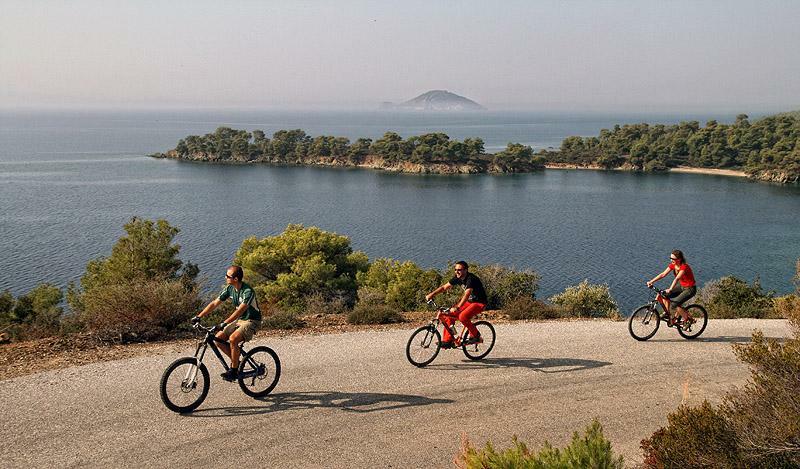 The routes include biking on isolated asphalt and gravel roads along the coastline offering great views to secluded beaches, cliffs and the crystal blue waters of the Augean sea. 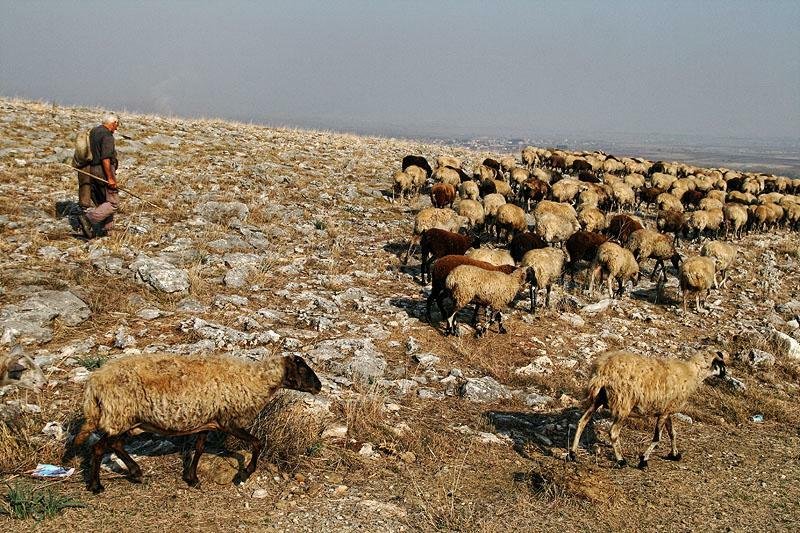 You will also bike on challenging routes in the inland mountains with their coniferous forests, beehives, herds of goats and panoramic mountain views. Along with that you will experience local life, culture and architecture in the small mountain and fisherman villages, flavor your senses with delicious sea food and enjoy the sun, sand and sea. 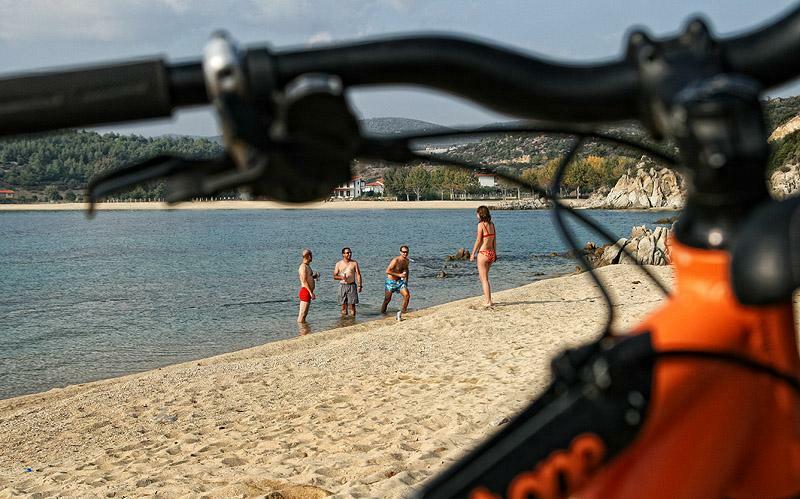 ♦ Kassandra - it is the most popular and touristic prong of Halkidiki. It is famous for its lively nightlife, golden sand beaches and lush coniferous forests. According to the myth, Kassandra got its name when one of the Giants, named Egelados, was crushed by Kassandra promontory, thrown by goddess Athena and was buried underneath. It is considered that Egelados did not die at that time and every so often he tries to struggle out from under the weight of rocks causing earthquakes (the Greek word for earthquake is egelados). beautiful sandy beaches - a symphony in blue and green. It is for those who seek adventure and relaxation in isolated beaches. It was named after Sithonas, son of Poseidon (god of the sea in the Greek mythology). with more then 20 monasteries. It is also an Unesco World heritage site. The Athos peninsula was named after the giant Athos, who during the famous battle, threw a mountain at the gods, but failed to find his target. Arrival in Thessaloniki. 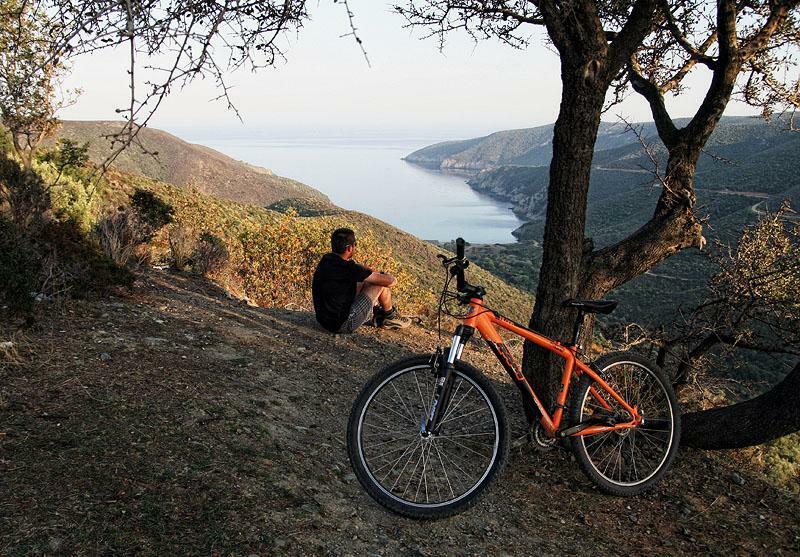 Transfer (100 km) to Pefkochori situated on the Northern coast of Kasandra peninsula. Overnight. Today’s route starts on a coastal asphalt road, soon turning on a village road leading to the picturesque chapel St. Nicholas. The ride continues with few km back and then uphill ride on asphalt road in the hinterland of the peninsula. 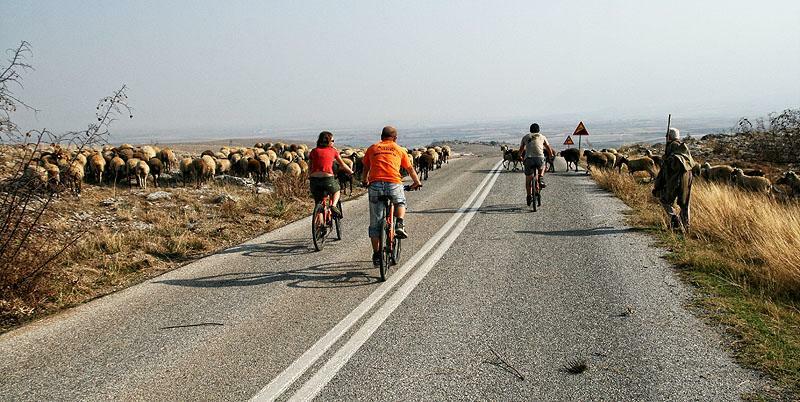 You finish biking in Loutra village famous for its healing thermal waters. Today you continue exploring Sithonia and after a morning ascend on a nice mountain road with spectacular views you descend to the Eastern coast and the beautiful village of Kalamitsi. 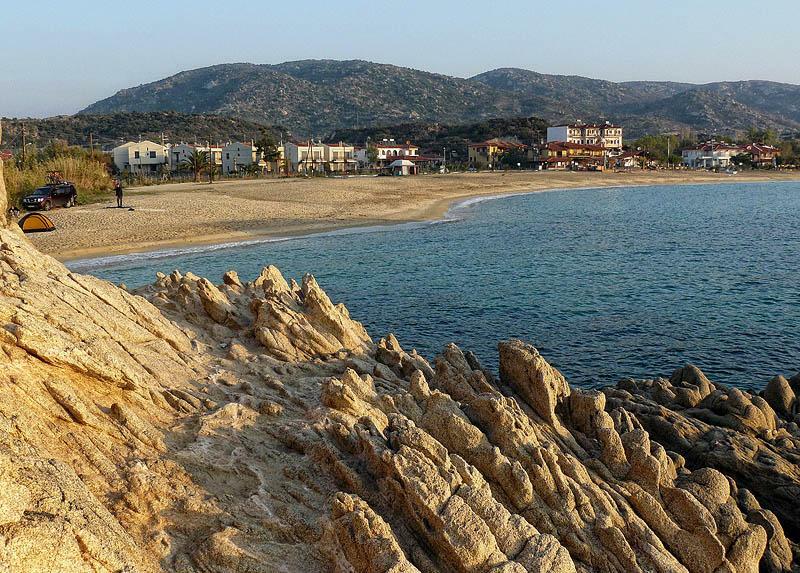 The route follows the main coastal road that goes up and down through forests of Mediteranean pine, passes by the lively resort town of Santi and finishes in Vorvorou region with nice views to Diasporos island. Transfer to Olympiada for overnight. Day 7. Free day in Ouranoupoli / boat to Athos monasteries. Back to Thessaloniki. Those who wish to take it easy today can do a boat trip to the amazing Athos holy land and monasteries perched high on the cliffs or just relax at the nice beach in Ouranoupoli and enjoy the sun and sea. Transfer back to Thessaloniki in the afternoon. Hotel overnight. ♦ Road conditions: We use good coastal asphalt roads, garvel and macadam mountain and coastal roads with good coverage (some bumpy sections are possible). Some of the routes include short but steep ascends/descend on off road. All roads and quiet and calm with low traffic in the tour’s active season. The tour is doable with hybrid/trekking bikes or mountain bikes. Necessary equipment: All riders must wear a helmet at all times riding. We encourage riders to bring their own helmets or rent one of ours. Cycling gloves, breathable clothes, waterproof gear, cycling shoes/trainers, swimming suit sunscreen lotion; sunglasses with UV protection, (For the full list with recommended items see “General” in the trip dossier).